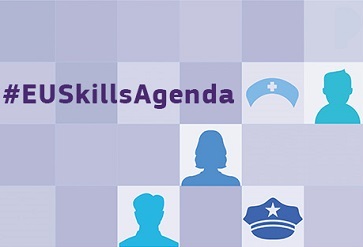 The New Skills Agenda adopted today aims to reduce the mismatch between the skills people are taught and the skills needed by the service sector and manufacturing industry. It is designed to improve the quality and relevance of skills to meet the need of a rapidly changing labour market and increase the understanding of skills and qualifications in the European labour market. The Blueprint for Sectoral Cooperation on Skills is one of the ten actions in the New Skills Agenda. The modern economy calls for a very wide range of skills. New and emerging industry sectors may require skills that are not even taught yet. And as the costs of doing business in the EU are higher than in other parts of the world, we need a higher productivity level to compete. The level of skills in our workforce can create an important competitive advantage. Being able to to adapt and innovate in an increasingly competitive environment is a major challenge for industry and SMEs cannot afford costly training programmes. At the same time, cooperation and partnerships with formal education and training providers have undeveloped potential. The Blueprint for Sectoral Cooperation on Skills provides a clear strategy and new instruments to address these issues with the aim of increasing individuals' skills and preparing them, particularly people not currently in employment, education or training, to fill job vacancies. It will mobilise industry, training and education actors, stimulate private investment and ensure a better use of EU and national funding programmes, based on a clear strategic vision and methodology. The Blueprint will initially be piloted in six sectors that are experiencing severe skills shortages: automotive, defence, maritime technology, textile-clothing-leather-footwear, space (earth observation) and tourism. Potential sectors for the second wave are construction, steel, health, green technologies and renewable energies.